Commonly referred to as soundbars or center speakers, speaker bars are arguably the most important in a home theater or media room. If you’re looking for a surround sound setup but are lacking the ability to have front or rear speakers, speaker bars are an easy way to upgrade any television into an incredible home cinema experience. Integrated television speakers can lack the ability to emit even sound. Have you ever had to turn down the TV during commercials or action scenes, but crank the volume to hear what’s being said? A sound bar can eliminate these frustrations. Soundbars have built in drivers that are pointed toward you making dialogue easier to understand. A majority of speaker bars have built in subwoofers, too. Together the tweeters and subs handle low, mid and high range audio to emit even coverage throughout the room. Meaning you don’t need to be glued to the remote for every commercial or scene change. It’s also important to note that there’s always something emitting from a speaker bar, about 80% of what you hear. If you have Left & Right front or rear speakers, the other 20% is being split between them. This is significant because the deep, smooth bass and crystal clear dialogue is better received when using a speaker bar. AIC has partnered with Martin Logan, KEF, Sonos Wireless Speakers, and Speakercraft to not only offer our clients a wide range of options, but more importantly, to offer our clients excellence. 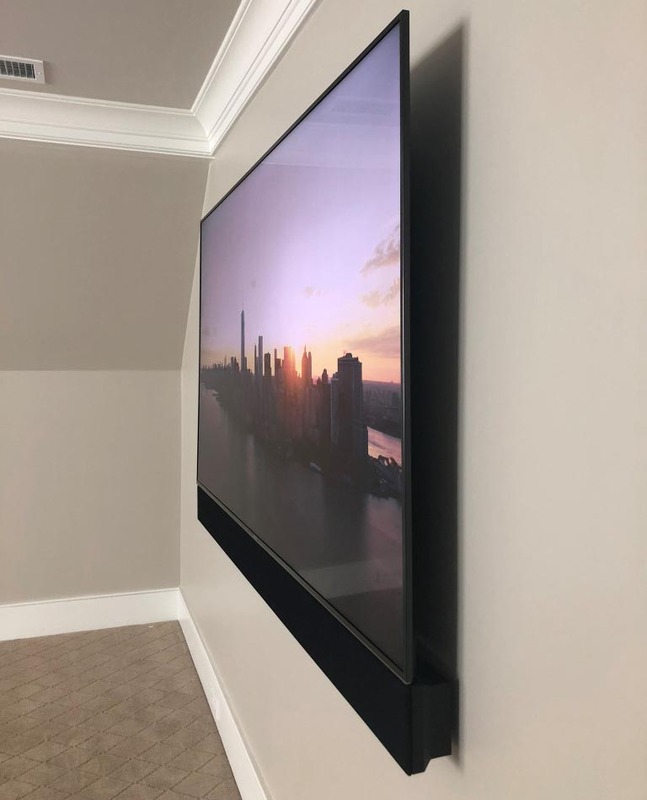 We take pride in designing and installing Speaker Bars projects in homes and businesses throughout Hilton Head, Bluffton, Palmetto Bluff, Savannah, Beaufort, and surrounding areas. Call us today at (843) 836-5700 to discuss getting your project started!